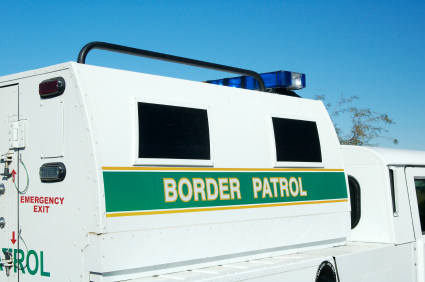 A Border Patrol agent who was killed while in a rollover accident on duty was not wearing a seatbelt, the Arizona Daily Star reports. Agent Alexander Irving Giannini was driving a Dodge patrol truck on Interstate 10 in Arizona on Wednesday morning when “the truck’s left rear tire failed when the tread separated from the tire,” said Officer Carrick Cook, a state Department of Public Safety spokesman. While Giannini, 24, was ejected, the passenger Agent Van Keith Hartwigsen was wearing a seatbelt and remained in the truck while it rolled. Hartwigsen suffered “minor injuries and is expected to have a full recovery,” said Agent Nicole Ballistrea, a spokeswoman for the Border Patrol’s Tucson Sector. Posted: 5/30/14 at 9:23 AM under News Story.